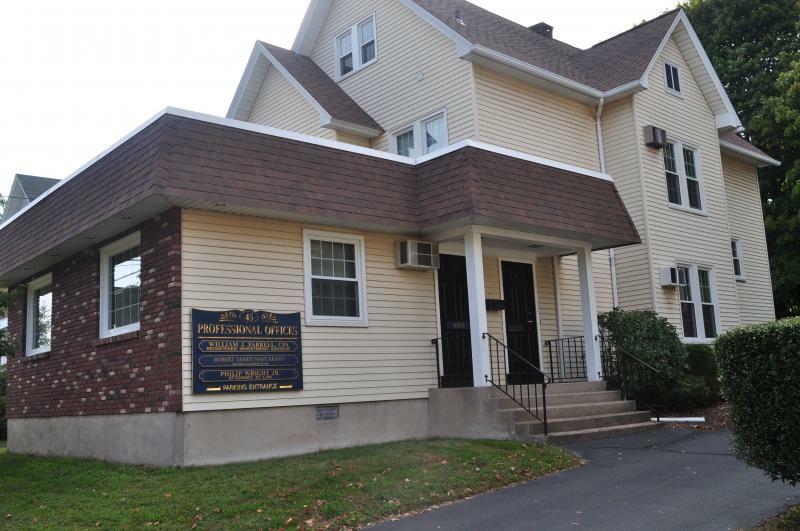 Attorney Naccarato's office is conveniently located on Fair Street very near the center of Wallingford. Fair Street is a one-way street off of Center Street one block behind the main Post Office. The office building, pictured above is number 45 and the fifth building on the right side. There is ample parking in the rear of the building. Click the map below for driving directions. If you are unable to call during regular business hours or just prefer to send a message, use the form below and you will receive a prompt response. Unless your employer allows for the use of its e-mail for private use we recommend you use a private e-mail. If there is one time to call that is better than another please tell us so. We cannot guarantee a call at that time but we'll try. Like our voice mail, our e-mail is confidential but we ask that you be as brief as possible. You can leave comments like Divorce, Will, Probate, Car Accident, Buying a House. If you have been referred to us please tell us who that person is. You need not enter company information if your issue is not company related. If however, you think it may assist us in understanding your issue then by all means, include the company info.